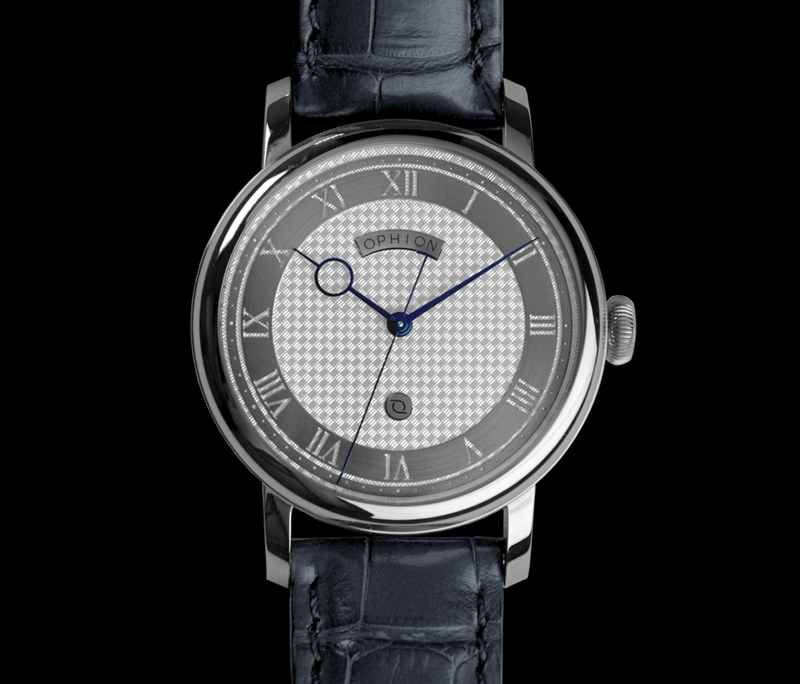 Looking at the current market, we felt, that there is not any good guilloche option and an entry level price. 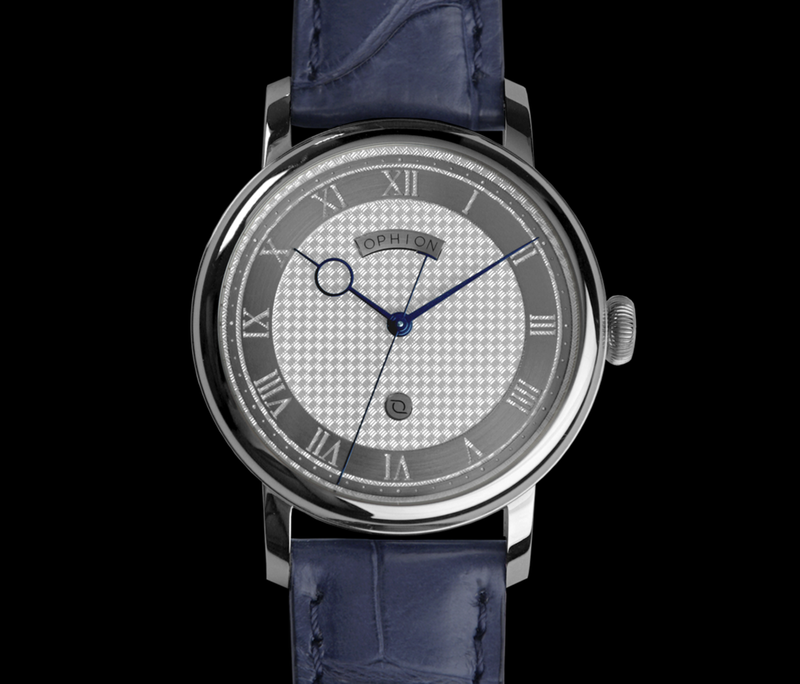 For out movement we wanted to do a very original caliber so we took the Technotime base and re-designed the bridges and decoration in the same way that we had design the watch, following the looks and symmetry of them movements of the pocket watches from 1780. 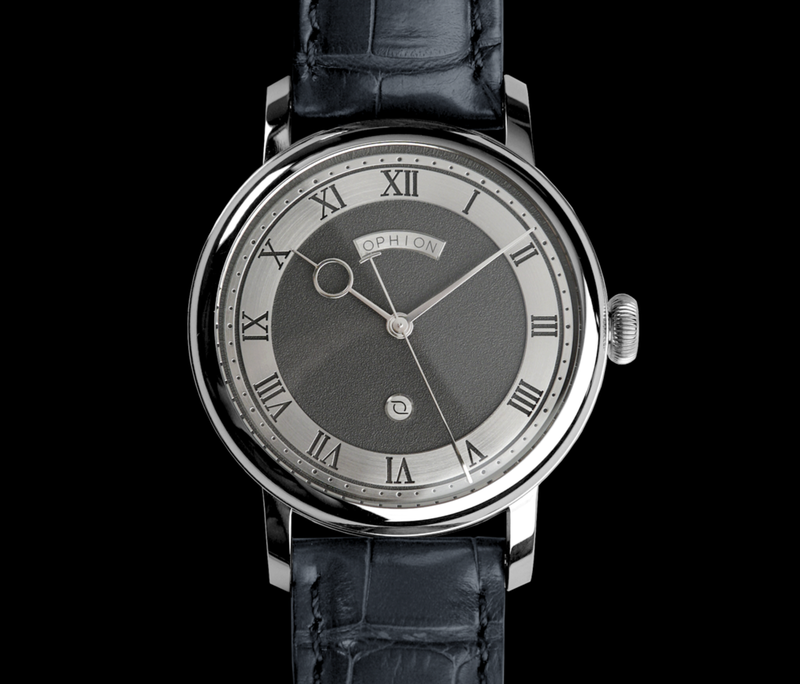 With a complete new geometry and hand hammered decoration, the aesthetic language of the watch and the movement were designed with the same idea in mind, where the movement and the watch is created as a whole, and not two different elements that they are together by chance. We took the key elements from 1700 era, developing and changing each element for having a more original look. 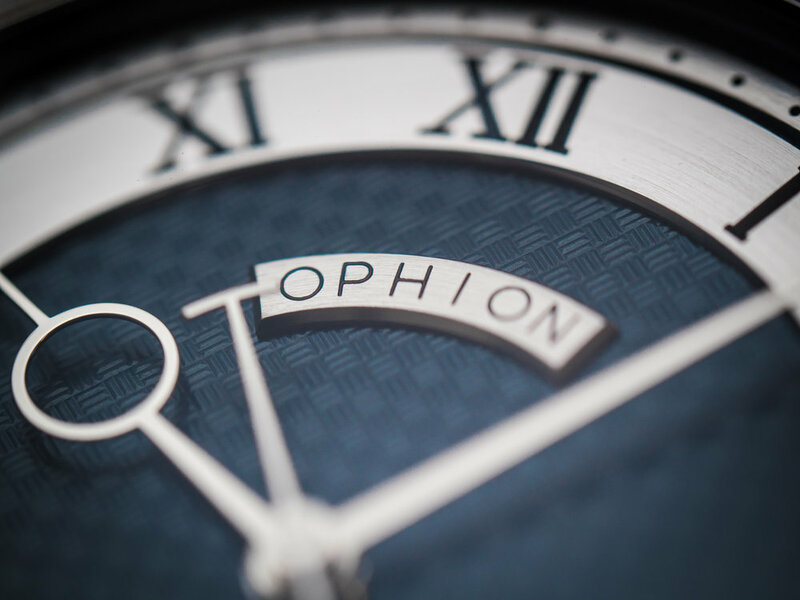 Developing and designing each details, give different sensations every time you look at the watch, depending of your surroundings the reflections of the dial behave in a different way, finding new details every time your environment change. 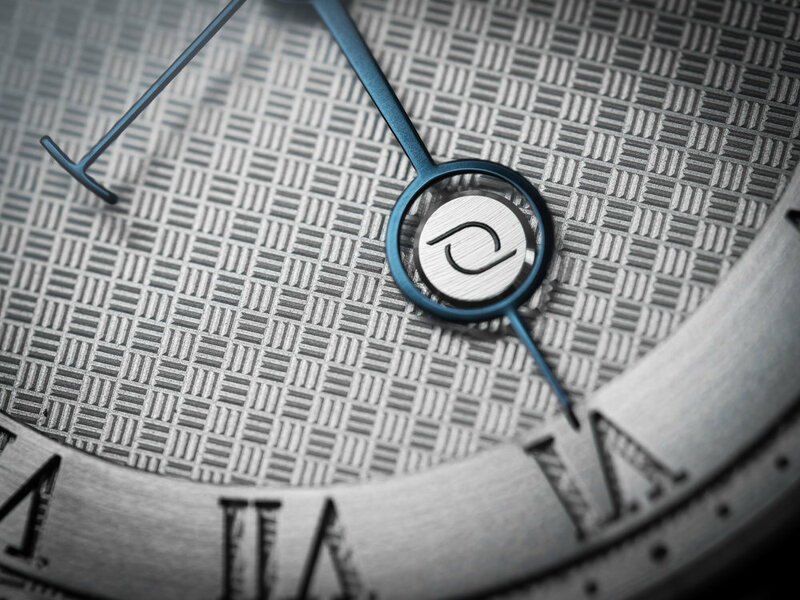 For the dial we wanted to have a very tridimensional effect, and enhance the guilloche works, we created a base of guilloche and we added a layer of rings on top, for the hours and minutes. 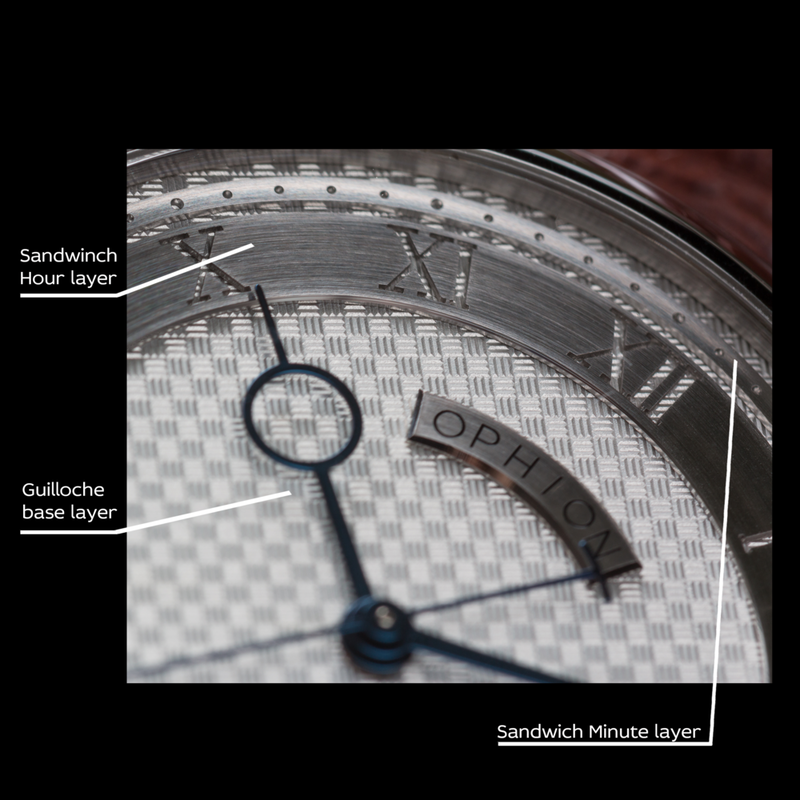 This layer has the hour and minute marks hollow, so you can see the guilloche base below, creating a sandwich effect but with a guilloche base. 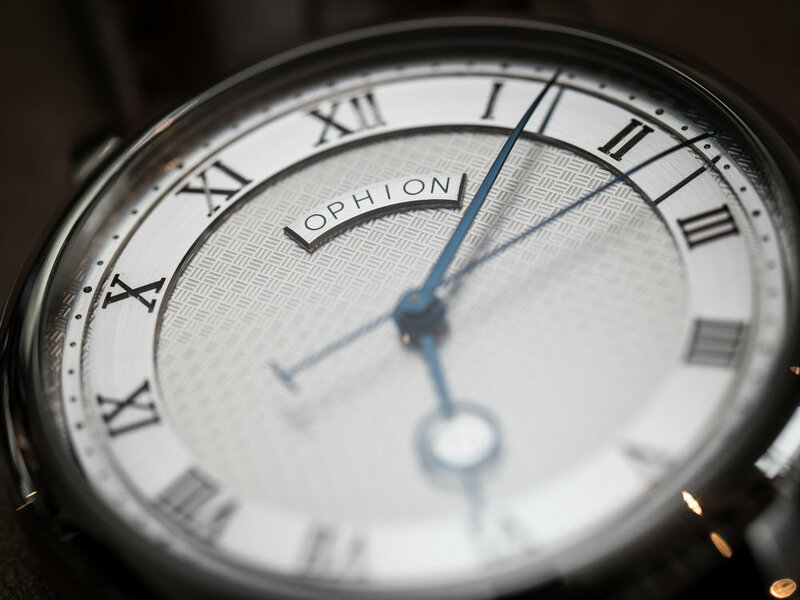 The different textures and material creates contrast, facilitating looking the time with a quick glance. 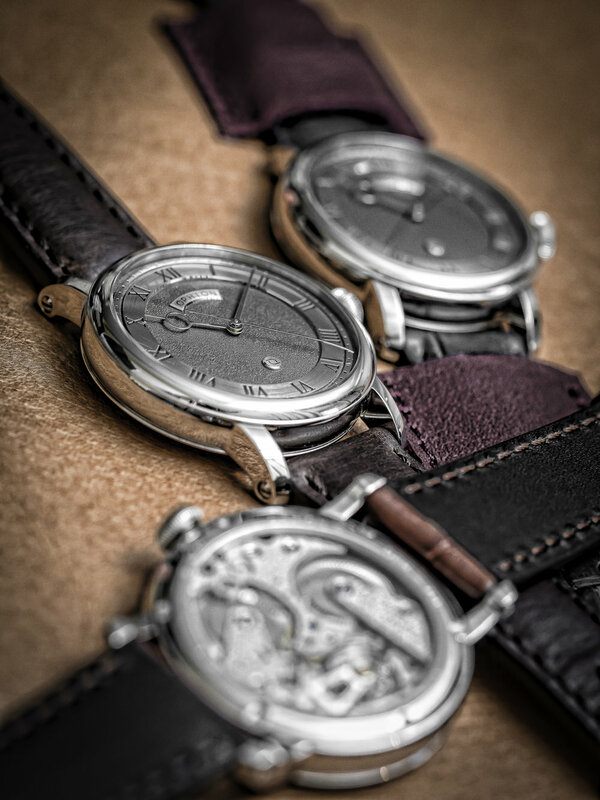 The power house of our watch we wanted to have the same aesthetic approach that we have use in designed the watch, we study the movements from old pockets watches, and we found some characteristic that were present in the majority of the movements. With a symmetrical design and independent bridges, we re-shape our base movements with the philosophy of the past. The decorations are also done following the aesthetics of the era, with and hand hammered finish that is impaired by the mercury evaporation that they use in that time. The machine chamfering on the edges and the subtle gray finish of the bridges creates a nice contrast with the independent balance wheel, that has a straight brushed finish, a beautiful touch of contrasts with the rest of the elements. 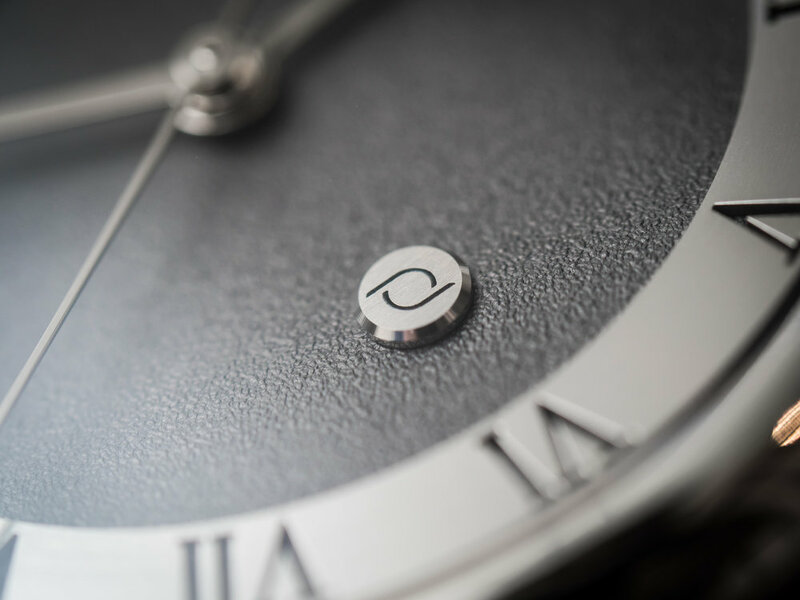 Our watches are made in small quantities that allow us to control production in every step of the process.